OtterBox is no stranger when it comes to offering protection to your multitude of mobile devices, smartphones especially. Each time there is a brand new flagship device released, you can be sure that OtterBox is right up at the forefront of things, ready to unleash their very own model to cater to that particular handset so that owners of the new smartphone will have that added peace of mind. 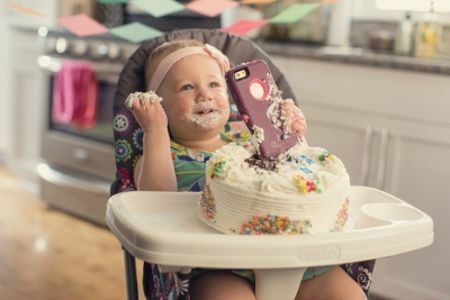 As for mothers, you know how hectic your day can be, especially when you need to go around shooting photos of the new arrival at home (a baby, not a vacuum), or to capture video of the entire family as you are on vacation, you can be sure that OtterBox has the case for mom. While Mother’s Day has just passed, it does not mean you cannot gift her a case for her smartphone from OtterBox. It does not matter whether mom is Defender Series tough or Symmetry Series stylish, you can be sure that the mentioned OtterBox cases will be able to offer trusted protection in order to keep her multitasking on track and those memories safe. With the Defender Series, it will be able to offer protection against sticky fingers and toddler tantrums, as it has been specially designed with triple-layer protection, while the built-in screen protector stops goo and the ilk from reaching the touch screen, while the tough shell and soft slipcover cushion Mom’s phone from drops and bumps at home or the office. Not only that, there is also the presence of port plugs which stop grime, goo and gunk from getting into jacks and inputs. If you know her favorite colors, then you will can opt for a custom Defender Series color combination. As for the Symmetry Series, it will depict mom’s stylish side that will boast of a variety of colors and patterns. This will be a slim, single-piece form that is a snap to install, allowing mom to slip it on and go. The slim case will slide easily in pockets, purses and briefcases, where its dual-material construction ensures the Symmetry Series happens to be one of the toughest cases in its class in order to meet accidents head on without missing a beat.